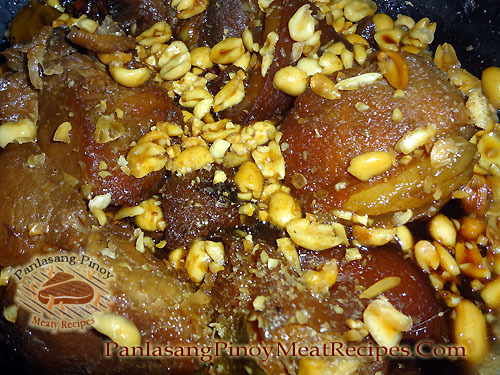 Pork humba with peanuts is a dish that has it’s origin in the Visayas region, particularly in Leyte. 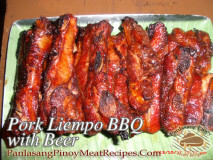 It is also called just “Humba” since..
Barbecued Pork Liempo with Beer is almost the same as the pork barbecue in bamboo skewers that we all knew. The only difference is the..
Almondigas is an old Filipino soup recipe made from pork meatballs and misua. I’m not sure where this recipe originates but the name of this.. 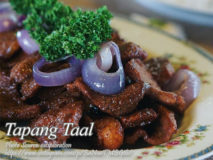 I think you are wondering why this recipe is called Tapang Taal? what does it differ from the usual tapa we are eating? 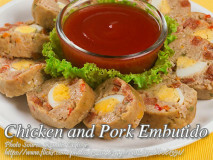 First of..
Chicken and pork embutido is a combination of ground pork and ground chicken meat and made into a meatloaf. The original embutido use only pork..